Natural anodised aluminium components can be dark marked using waveform 1 from a standard 20W redENERGY RM-Z Laser, however the dark mark is not usually smooth. Natural anodised aluminium components can be dark marked using waveform 1 from a standard 20W redENERGY RM-Z Laser, however the dark mark is not usually smooth. 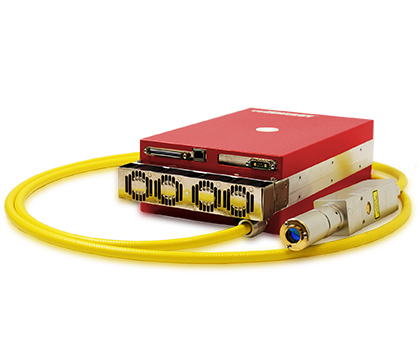 If a smooth finish is sought, then by using a shorter pulse, our extended performance (EP-Z) Laser is capable of delivering dark marks that are smooth to the touch. 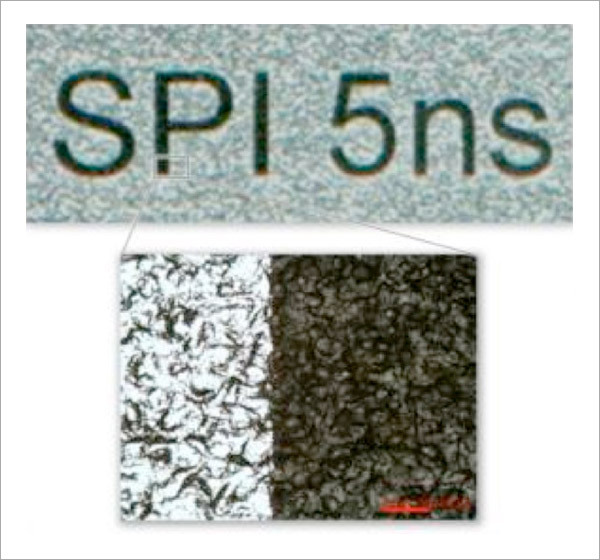 Trials have shown that a short Pulse Laser operating with a pulse duration of 5ns or less is capable of creating high quality dark marks on this type of material. The best settings are dependent on the type and thickness of the anodising layer, however our short pulse Laser has 3 sub-5ns waveforms, allowing it to work with a range of anodised coatings. The workstation used a 75mm BEC which produced an 8mm (1/e2) diameter beam at the scanner entrance, allowing a 10mm aperture scanner to be used. The scanner was fitted with a 163mm focal length objective lens which gave a 110x110mm field size.